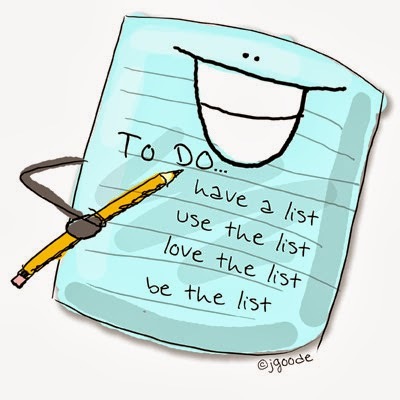 Do you know the joy of crossing completed items off of a list? Or the thrill of adding a completed item to a created list, just for the fun of immediately crossing it off? Yeah, I’m that person. I’ve gotten through two advanced degrees by making loooong lists. And I realized early on that list-ing was a fun/easy way to write blog posts. Much of my list writing is in the form of the Thursday 13 meme (see below), but I also write general posts on goal setting and confessions. Enjoy!